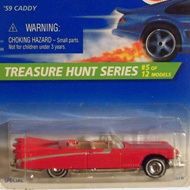 6/12 from the 1996 Treasure Hunt series. The Viper has two different versions. The first features white paint with blue stripes on the top, clear windows, a black interior, white 6-spoke Pro-Circuit wheels, and a black Malaysia base. The second variation has red paint, clear windows, a black interior, wire-spoke wheels, and a black China base. 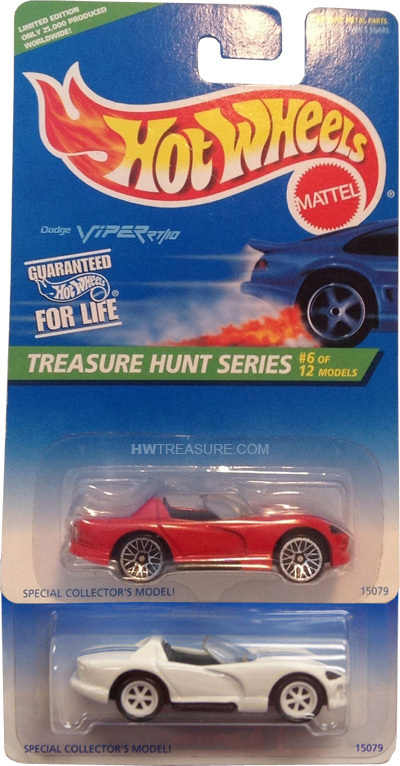 The Viper made its Hot Wheels debut in 1993. It is based upon the performance sports car manufactured by Dodge.